ItemCUMB_2000.020.001 - Drawing by Dave Deans, of Chinese Gentleman Walking with Two Canes in Chinatown, Cumberland B.C. 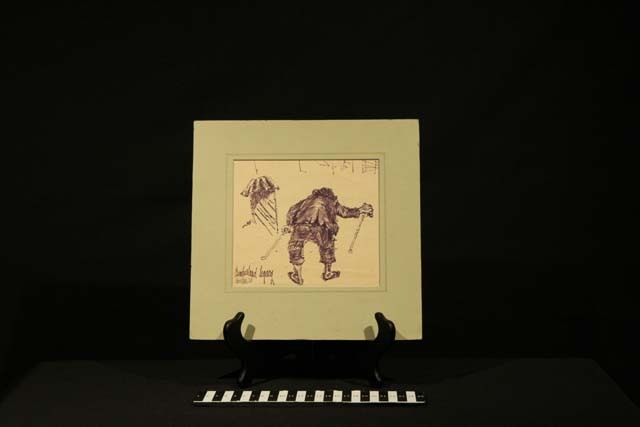 Item CUMB_2000.020.001 - Drawing by Dave Deans, of Chinese Gentleman Walking with Two Canes in Chinatown, Cumberland B.C. 26 x 26.5 cm; 1 drawing; matted; ink pen; paper; black, white.